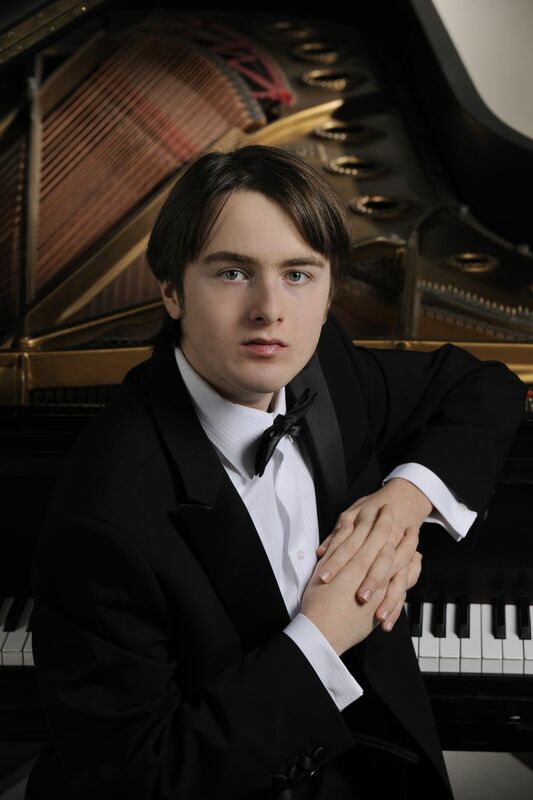 Much buzz has followed the young (22-year-old) Russian pianist Daniil Trifonov in the classical music world since he won medals at three international piano competitions in 2010-2011. Local concert goers had a chance to see what all the fuss is about when Trifonov recently made a triumphant Tanglewood debut. Coming on stage he looked stiff, boyish, and even a bit shy. But as soon as his fingers touched the keyboard, he was a changed man and never looked back. He luxuriated in the rich sonorities of the first movement and the restless harmonies of the second in Scriabin’s 1897 Sonata No. 2 in G-sharp minor. Both its roots in the lyricism of Chopin and its hints of Scriabin’s later mystical style were carefully balanced in an exquisite performance. Contrasts were then heightened in a visceral interpretation of Liszt’s 1853 Sonata in B minor. The slow, portentous opening followed by a grand, dramatic statement of the second theme set a pattern in which slow passages were slower than usual, fast were faster, and the dynamic range was extremely wide. Trifonov’s playing in the fugue was breathtaking, and the sublime closing notes achieved a rapt stillness. The second half of the concert was devoted to a dazzling account of Chopin’s Twenty-four Preludes, Opus 28. Published in 1839, these miniatures vary from Agtatos and Vivaces that flash past in less than a minute to several Largos and Lentos which take five minutes or more to unfold. Trifonov played them without pause, emphasizing their mercurial nature with solid technique, full-bodied tone, and subtle nuance. Thunderous applause was rewarded with three encores: two rarely heard Fairy Tales by Nicolai Medtner, delicately played, and an arrangement by Guido Agosti of the Infernal Dance from Stravinsky’s Firebird in an athletic but sensitive rendition. As Trifonov’s career develops and his artistry matures, it will be interesting to see how he approaches the core Germanic repertoire by Bach, Mozart, and Beethoven. Meanwhile, this rising star proved at Tanglewood that he has few peers in the romantic Slavic repertoire with which he seems to feel most at home.